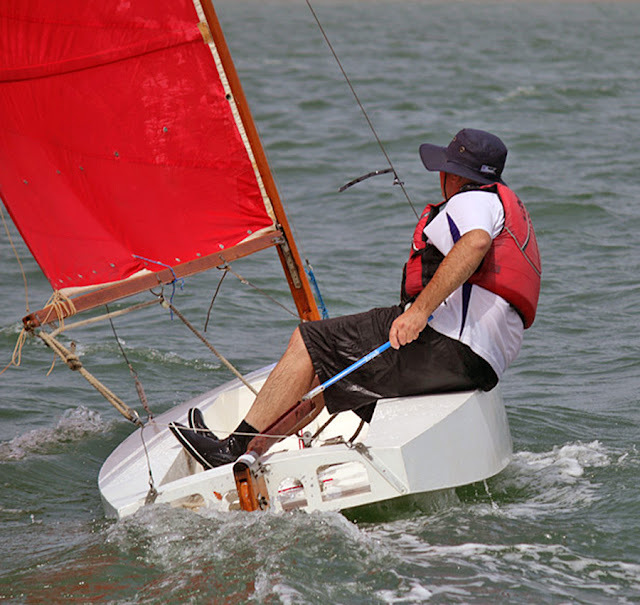 The previous header photo was of a start at the 1986 Moth World Championships at Largs Bay, Adelaide, Australia, the last time the scows and skiffs would mix it up. More photos from that regatta can be found here. Time to wrap up the scow thread which I've kept Earwigoagin on for a month or so. 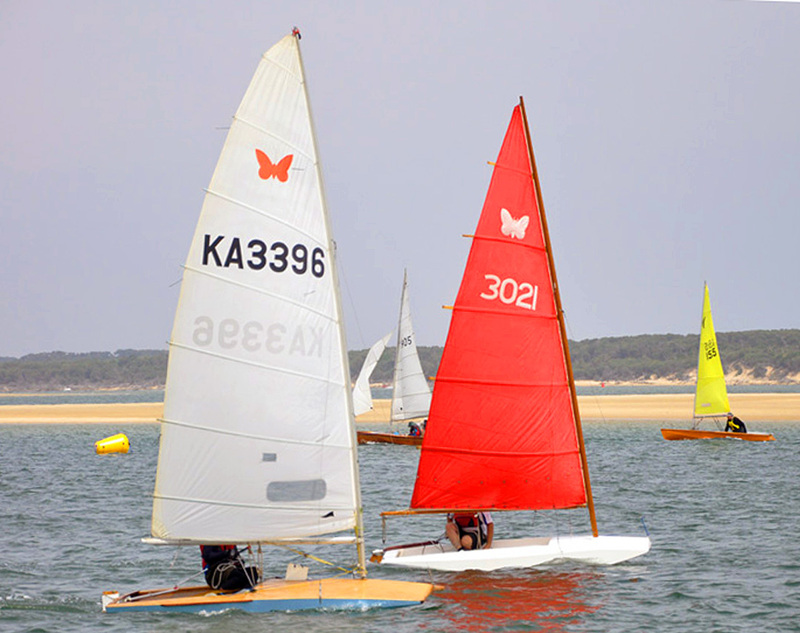 This post I stay with the Australian Inverloch Classic Wooden Dinghy Regatta and the other two vintage scow classes competing; the Australian scow Moth and the Australian Sailfish design. 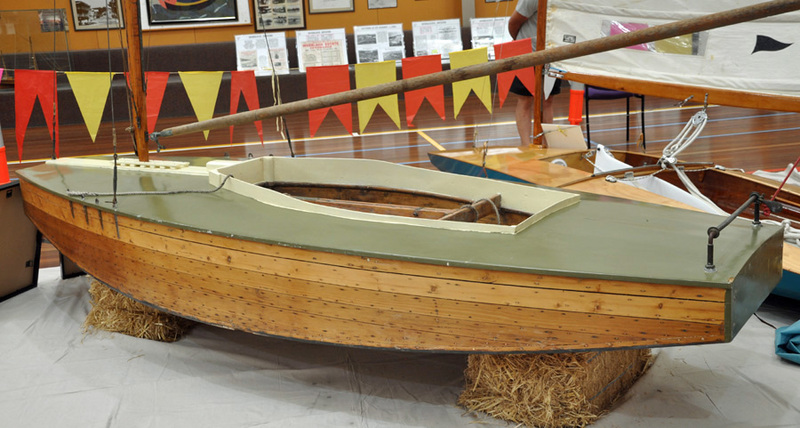 As mentioned before, the Inverloch Classic Wooden Dinghy Regatta celebrated the 90th year of Len Morris building his "Olive" which would become the Inverloch 11-footer class and then, when they spied the Rudder magazine article with Crosby's plans for his Skimmer Moth, the Inverloch group appropriated the emblem and become the Australian Moth class. The original "Olive" is still in one piece and was on display in the gymnasium at the Inverloch Regatta. The original definitely has high freeboard. Nowadays we would probably say the design is more pram-like than scow-like. Len Morris's second Moth design, the Mk II, built post WWII, would take Australia by storm and was definitely more in line with the low freeboard American scows. Graeme Cox brought along an early Mk II. 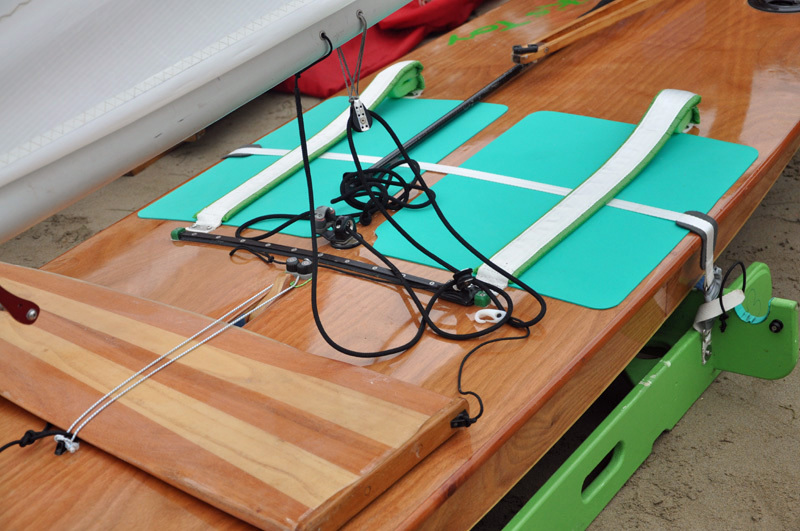 Note the low roach mainsail on the MkII (#3021) compared to a later 1960's scow design (#3396, an Imperium perhaps?). 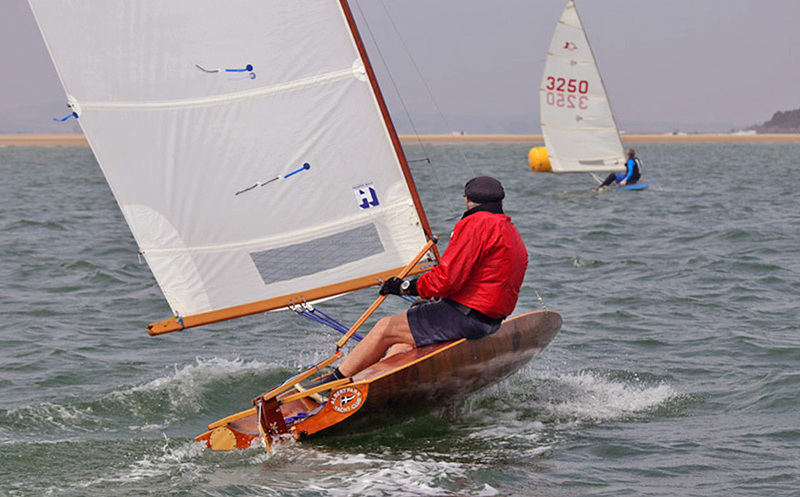 Graeme Cox's MkII from the stern. Phil Johnson, in his beautifully restored Cole Mouldie Moth, won the "Best Moth" prize at the regatta. Nine Australian Sailfish made it to the 2018 ICWDR, down slightly from the eleven that showed at the 2017 ICWDR. Nine Sailfish still made up the largest class attending in 2018. There was even a brand new build. 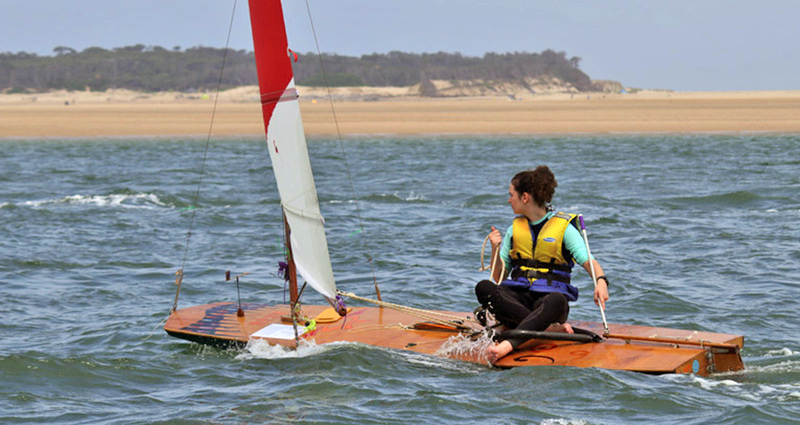 Brian Carroll, son of Jack Carroll, one of the designers of the Australian Sailfish brought the freshly launched "Jacks Toy" to Inverloch. The new build Sailfish sported SUP non-skid tread, certainly a big help in staying on these slippery, narrow, beach boats.